Welcome to our new conference website! I hope you will find all you need concerning this wonderful event on this Manchester Institute for Psychotherapy Conference website. The conference is to be held over 3 days at the 5* hotel - Holiday Inn Hotel, Manchester, UK, over the period 15th to 17th November 2019. The theme of the conference is “Compassion, Hope and Forgiveness - within the therapeutic relationship”. This theme is close to my heart and the workshops throughout will be thematic with the above concept. The keynote speakers are - Dr. Richard Erskine, who will be opening the conference on the Friday morning and running a workshop with the whole of the participants on the Friday morning following his keynote speech - I have known Richard for many years and I have always been impressed not only by his wisdom, teachings and trainings in the area of psychotherapy, but also with his warmth and vibrancy of his knowledge. On the Saturday morning, the keynote speaker is Professor Mick Cooper, whose keynote speech is on Relational Depth and Psychotherapy. We are honoured to have Professor Mick Cooper not only giving a keynote speech but also running a workshop following on from his keynote speech, which will be 11.00-1.00 on the Saturday morning. 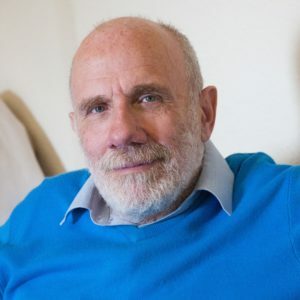 Professor Mick Cooper is well known in the area of Psychotherapy and Counselling and he is a well known lecturer in this area and also an author of numerous books and articles in the above area. The keynote speaker on the Sunday morning is Dr. Jonathan Lloyd, 9.40 - 10.30 am, and he has also agreed to do a three hour workshop on the Sunday afternoon, 2.00-5.00 pm. I have known Jonathan for many years, he is a well respected colleague of mine and has recently published a wonderful and enriching psychotherapy book in the area of the use of metaphors within the psychotherapy context. I am also pleased to announce that there will be a panel on “Addictions and Treatment” on the Sunday morning after the keynote speech. This will be a wonderful opportunity to hear the views and considerations of the presenters in this particular specialism. There will be time to take discussions and questions concerning the above throughout this panel presentation. Registrations will be open 1st December 2018 and the Early Bird system will stretch to 1st April 2019, so please make sure to register early to achieve this Early Bird discount. You will be able to register through this website and also to book on for the Gala Banquet which takes place on the Saturday evening, and you will also be able to book through to the Holiday Inn portal to book accommodation at the conference hotel. I have negotiated discounts for people participating at this conference with regards to accommodation. Again, this will be possible from 1st December when this conference website goes “live”. On a final note, as I welcome you to this wonderful conference, I hope you enjoy the various workshops, keynote speeches, panels and various other social events such as the well-acclaimed Social Night on the Friday and of course the “fantastic” Gala Banquet on the Saturday night. Please see information on the Social Night and the Gala Banquet on the other sections on this website. For inclusion on the Gala Banquet you will need to register/pay separately for this when you register for the overall conference. Warm regards and see you at the conference!